Wallpaper. The mere word makes many people cringe in fear and shudder in disgust. 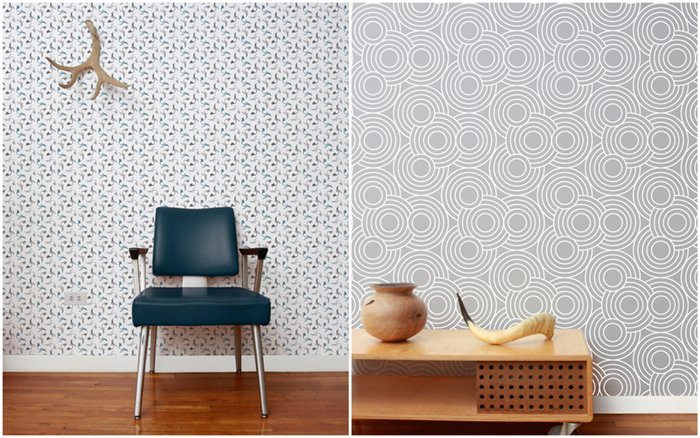 Those people are clearly having flashbacks to the icky wallpapers of years gone by, and haven't seen the fun and whimsical designs by Aimee Wilder. Any lady that can make pigeons, nintendo, and sumo wrestlers look awesome enough to spangle a wall with is on my 'eternal list of cool.' Any of these designs have you reaching for the glue? I am partial to the lovely loops design! Wow, loving the middle two! That's a great idea instead of just a blank wall. I am aiming to have a black and white bedroom when I'm older and have my own place and those gray hued papers look gorgeous! The very first one is AMAZING!! so fun, the birds are great! 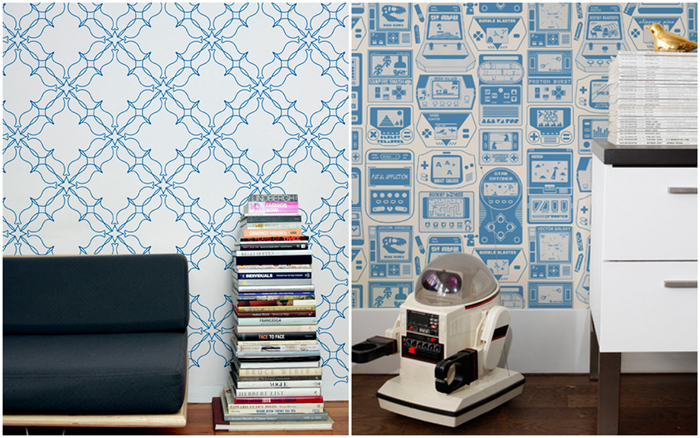 I am full steam ahead with some fun wallpaper (I want a deco glam bathroom for sure) now we just need to buy a house! Sorry it took me so long to find this post and thank you, but Thanks! I love getting feedback on what people enjoy. 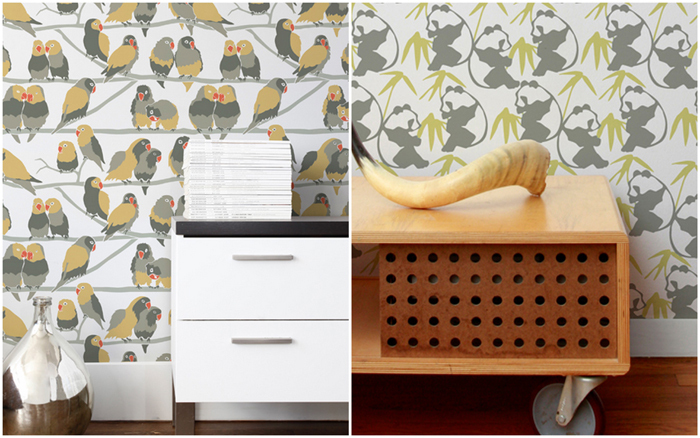 Wallpaper can be more of an emotional/financial investment than just painting your walls so all of the prints are things I'd hang in my own home. Took a look around your site and have to say, I love your style! Adding you to my RSS Feed.